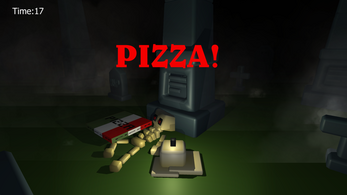 A game made in less than 12 hours for XIII_XXV on Reddit. 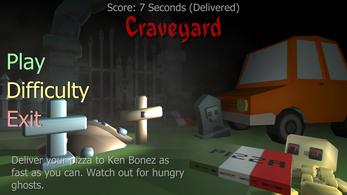 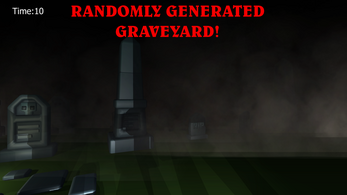 Craveyard is the latest in the graveyard pizza delivery simulation survival horror genre. 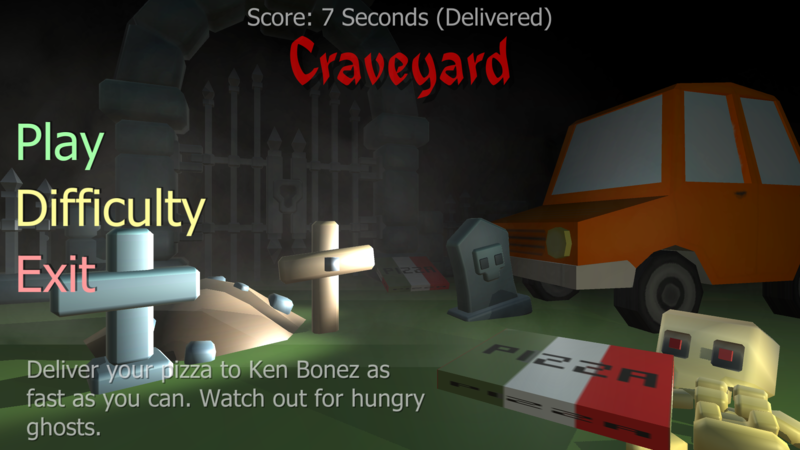 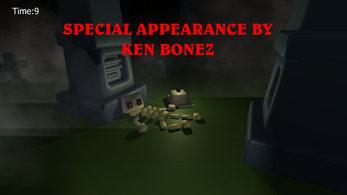 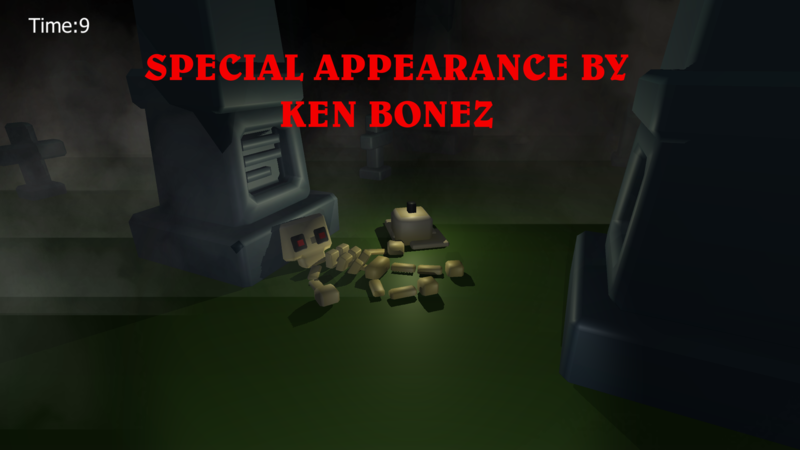 Your goal is to deliver your pizza to Ken Bonez as quick as you can while dodging a pizza stealing ghost. 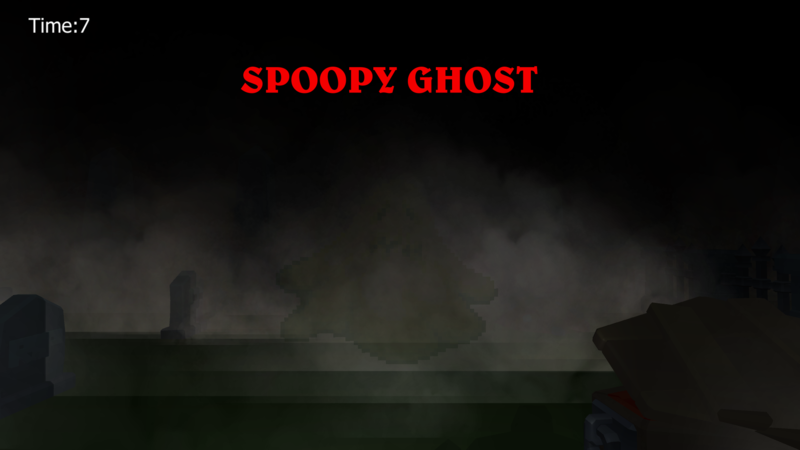 Added a second faster ghost in hard mode. Added a game over screen with spooky noises. 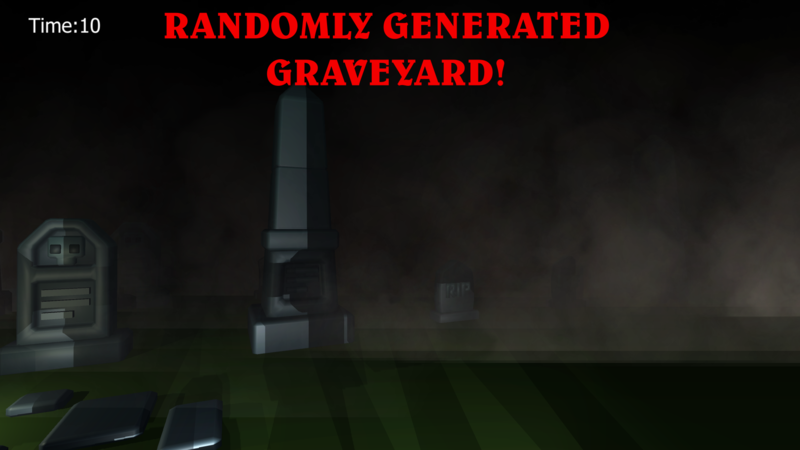 That was a nice short game to play, was hoping the graveyard would be bigger but not bad for 12 hours development.